One reason (of many) behind starting this blog is the not planning on kids lifestyle. 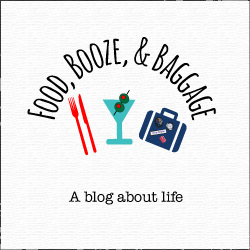 The blogosphere is full of mom/kid/parent blogs which is great since there are lots of those people around, but not so many that address the DINK lifestyle. DINK (Double Income No Kids)…which I only learned this phrase last weekend. I belonged to an acronym and didn’t even know it 🙂 I also discovered there is a website dedicated to it. So, maybe it is more prevalent than I realized, but still, I think it is less socially embraced and viewed as an nontraditional permanent lifestyle choice for a married couple. I’ve never imagined myself having children-it just is not something I felt I needed or wanted. I want my life to be mine and I don’t think this is an attitude to have if you do plan on having kids. When you decide to get married, going into it with the plan of no kids, it provides a much wider path. I like to say “it’s just me and P in it for the long haul with no other mile markers”. It is just the two of you-which is great and a little scary. I’m approaching our lifestyle as one in which we need to make sure to actively create our own goals and plans. I could easily imagine it deteriorating into a series of years in sweatpants, TV, and take-out (well maybe not for us because we do like to spend our time together and love food, drink, and travel). I think with any marriage it is easy to get into a rut (kids or san kids) but at the same time kids provide influence against the day to day. In general, if you get married with the idea of starting a family, it provides you with a framework…have kids by X age (that ever ticking clock), do XY&Z before said kid/s, buy a house (worry about school district), get Junior into pre-school, soccer, college….. The no kid plan is not the norm, and at times it’s weird how others react to it. Some people treat you as if you are actively challenging their child filled lifestyle; it’s amazing how argumentative strangers (or acquaintances) can become at the mere mention of the no kids plan. I don’t understand the hard sale that many people feel compelled to launch into. Personally, I feel like I’m at a used car dealership trying to be talked into that sporty red car, that clearly has been in a few wrecks and the dings are covered by the bright paint. If someone tells me “ I have three kids”, I don’t immediately say: “WHY? !”; “oh you will regret it”, “do you know how much college for three kids is?”….though apparently it’s completely acceptable to go after the no kid plan as if your very way of life is threatened. Of course not everyone reacts this way but I’ve witnessed and experienced on a number of occasions some very odd turns of casual conversations when the topic is brought up. Basically, I just want to put another perspective out there on the old blogosphere (which I totally did not know was a dictionary recognized word). P and I are a family, a team, our marriage is no less because we are not following the prescribed road map. Regardless of your lifestyle choice, we all face challenges/happiness, a lot of it is the same. It’s not about my lifestyle versus your lifestyle, or even that mine is that different; it’s about showing the alternative map and those alternative mile marks, even if we are planting them as we drive.